The city’s financial services sector growth is only outpaced by two locations in China. 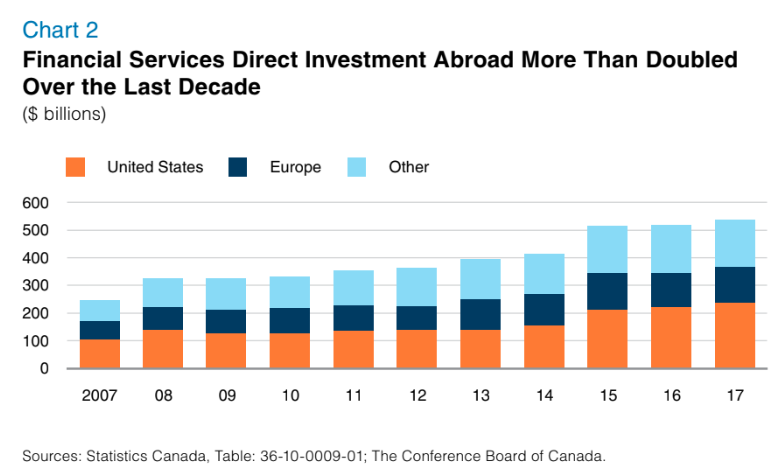 Few financial advisors in the United States might suspect just how much of a booming financial services sector our neighbors to the north have. 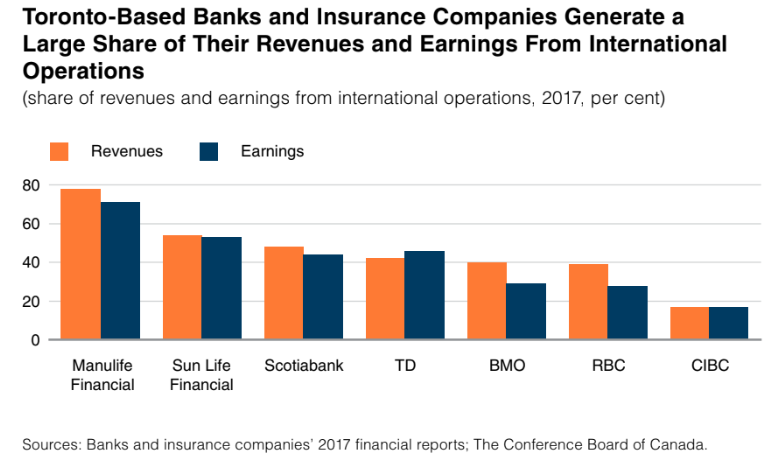 And within that sector, Toronto is clearly the capital, with banks, including CIBC, RBC, Scotiabank and TD Bank, headquartered there as are insurance companies, such as Manulife, Sun Life Financial and Intact Insurance. In fact, financial services is Canada’s largest and fastest-growing services export category, according to the sixth edition of Toronto on the Global Stage: 2018 Report Card on Canada and Toronto’s Financial Services Sector from The Conference Board of Canada. Overall, Toronto’s financial services sector generated a combined $18.3 billion in fiscal benefits in 2017 for the Canadian, Ontario Province, and City of Toronto governments. Much of Canada’s financial sector accounts for 4.5 percent of Canadian employment and 7.1 percent of Canadian GDP in 2017. Another set of interesting statistics from the report, only Luxembourg has a higher concentration of the overall population involved in financial services than Toronto (12 percent versus 8.3 percent) but higher than the world financial capitals of London (6.5 percent) and New York (6.4 percent), respectively, according to the report. Toronto’s growth has risen by 25.2 percent over the past five years, accounting for about one out of every 12 jobs, according to the report. And when it comes to employment growth only Beijing and Shanghai have outpaced Toronto in the last five years.